There is a monumental difference between your first and second pregnancy; things you would never expect! The first noticeable difference is your ability to relax those anxious bones about every little thing being perfect. 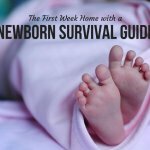 Most first-time mamas are stressed out, extremely picky, and researching every little thing possible. Talk about stress! 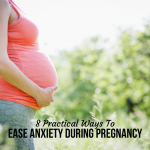 By the time you’re on to your second pregnancy, the number of things to stress about is drastically reduced. First Pregnancy: Every single week, on the turn of your week, you take a bumpie (pregnant women don’t take selfies, right?) and you know exactly how your little baby compares to produce. Second Pregnancy: You somehow make it to the third trimester and realize you haven’t snapped a single bumpie on purpose. First Pregnancy: You have the latest and most popular books on your nightstand, in your purse, and on the counter. You will know all things about pregnancy. Second Pregnancy: Books? What books? I read books last time? 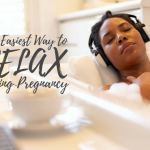 First Pregnancy: You get a daily nap in, if not 3, and feel rested and ready to nest. First Pregnancy: You walk or jog and stretch every day. You are a part of a prenatal yoga class. You are in tip-top shape. First Pregnancy: Everything must be new. Brand new and shiny. Second Pregnancy: You are all about those hand-me-downs! First Pregnancy: You buy the flowy dresses and schedule the photo shoot in advance with the best photographer. You are absolutely documenting this very special time! Second Pregnancy: Whoops! Here’s my iPhone. Will you snap a photo of us? Do you have any differences to add? Please share in the Comments!